Additional Language: Urdu and Hindi. She enjoys managing all aspects of General Practice with Special interest in: Women’s health, Family planning, Dermatology, Cosmetic Medicine, implanon insertion and removal, IUD removal, Pap smears and hair loss treatments. After working 14 years in the National health services in the UK, she has recently relocated to Australia, where she received her Fellowship of the Royal Australian College of General Practitioners. 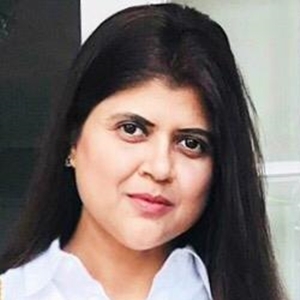 After completing her MBBS degree she did several training jobs in NHS in United Kingdom and completed her postgraduate General practice speciality training in 2011 and obtained membership of Royal College of General practitioner London in 2011. She has also completed Diploma of the Royal College of Obstetricians and Gynaecologists London in 2010 and Diploma of the Faculty of Sexual and reproductive healthcare London in 2009. She has got letter of competence in subdermal implants insertion and removal (LoC SDI) from London. Dr Shaikh is also highly trained in non-surgical cosmetic treatments. Dr Shaikh has done training at Harley street London and also completed Post graduation certificate, Diploma and board certification in Aesthetic Medicine from world renowned American Academy of Aesthetic Medicine in London. She has got passion in Aesthetic Medicine with dedication in delivering best treatments for natural looking results. Her professional doctor background ensures that all treatment is delivered with exceptional high standard of care. She carries out various cosmetic treatments: Anti- wrinkle treatments like Botulinum toxin. Dermal Fillers to correct early to advanced signs of ageing & also to restore volume to the face & improve quality of skin. Medical Skin Needling (Collagen Induction Therapy-CIT) using latest pain free devices for skin rejuvenation, pigmentation & scarring. Mesotherapy for face & neck rejuvenation, antiaging & dark circles around the eyes using the latest pain free Mesogun. Mesotherapy for hair regrowth & hair loss. Mesotherapy for cellulite of hips & thighs. Platelet Rich Plasma-PRP (“Vampire facelift’) for skin rejuvenation, scars, skin texture & hair loss. Chemical Skin Peels using glycolic acid, TCA, Salicylic acid & Phenols for skin rejuvenation, photo damaged & hyperpigmented skin. Dr Shaikh not only been invited to do teaching to GP trainees in Luton (UK) to pass MRCGP clinical Exam (CSA) but also been invited to teach advance dermal filler and Botox teaching in London by American Academy of Aesthetic Medicine. She provides comprehensive and holistic approach in primary care management with focus on patient cantered care and specific problem-solving skills. She is currently in the process of completing Postgraduate Diploma in Practical Dermatology from Queen’s Mary University of London. In her spare time, she enjoys being active by playing tennis and going to the gym. She loves to travel both locally & abroad.